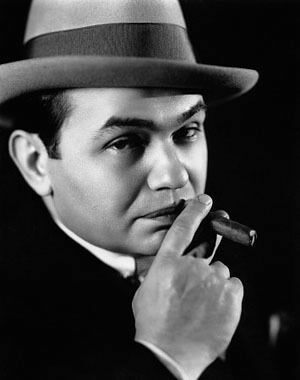 "Suspense: To Be Edward G Robinson"
Edward G. Robinson was born Emanuel Goldenberg in Romania in 1893 and his family immigrated to New York City, America when he was young. He took up acting early and was on Broadway at the age of 22. He continued in the theater before being in only one silent movie. His commanding voice and mannerisms were made for the silver screen. By the end of his distinguished career, he was in some 90 films, including "Little Caesar" (1931) "Double Indemnity" (1944), "Key Largo" (1948), "The Cincinnati Kid (1965) and "The Ten Commandments"
"As one of America's most beloved 'tough guys,' Edward G. Robinson developed an unforgettable on-screen persona that belied his gentle, quiet nature. His contributions to the golden age of film make him a fitting candidate for the Legends of Hollywood stamp series," said Karl Malden. Robinson was the sixth honoree in the Legends of Hollywood US Postage stamp series in 2000. Robinson was also known as a philanthropist, humanitarian and art collector in addition to being a star of stage, screen, and radio. For radio, the second and third were featured, and two out of three isn't bad! 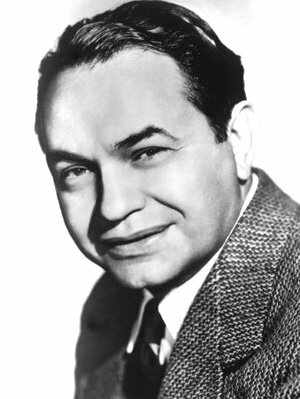 In Edward G. Robinson's case, two out of three makes for wonderful radio drama listening. For more E.G. 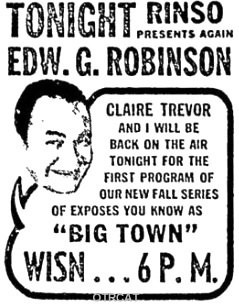 Robinson recordings, see also Big Town Collection and Eternal Light. 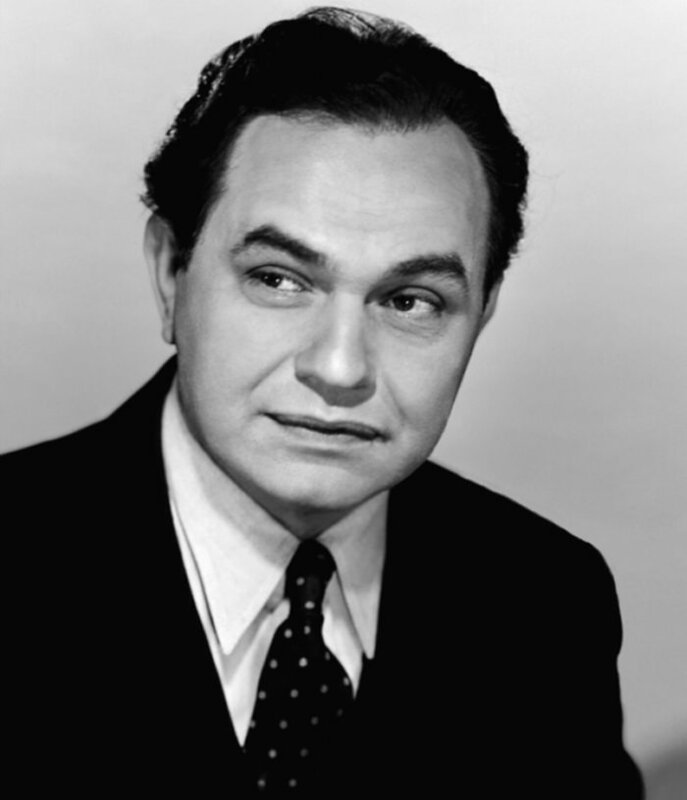 Be the first to comment on "Edward G Robinson"